Review by Hard Man on 4/13/2015. A tad boring, but its fine for what it is. Review by NinjaNic on 4/13/2015. Plays ok, it's not bad, just nothing new. I would echo NinjaNic's comments. I generally like how you chose to define the bonus regions - it makes sense. But the values given to the bonuses do not - they are unbalanced. Also, the map is a bit sloppily drawn. Response to DaMoney - the problem with that is that the borders are virtually impossible to control prior to endgame, meaning those edge bonus regions are effectively shortchanged throughout the game. 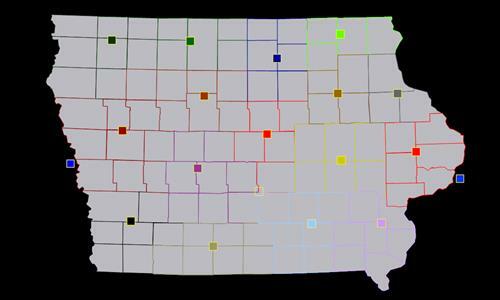 The bonus values are based upon the number of border counties in a given region.